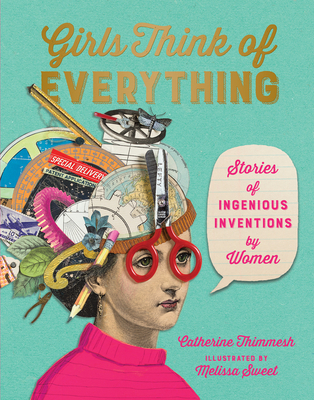 This updated edition of the bestselling Girls Think of Everything, by Sibert-winner Catherine Thimmesh and Caldecott Honor winner Melissa Sweet, retains all the integrity of the original but includes expanded coverage of inventions (and inventors) to better reflect our diverse and technological world. In kitchens and living rooms, in garages and labs and basements, even in converted chicken coops, women and girls have invented ingenious innovations that have made our lives simpler and better. What inspired these girls, and just how did they turn their ideas into realities? Retaining reader-tested favorite inventions, this updated edition of the best-selling Girls Think of Everything features seven new chapters that better represent our diverse and increasingly technological world, offering readers stories about inventions that are full of hope and vitality—empowering them to think big, especially in the face of adversity.